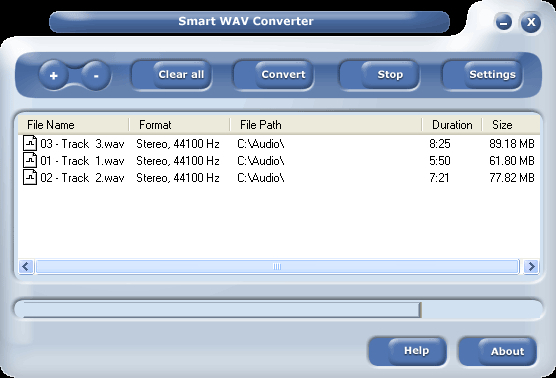 Smart WAV Converter 11.10 - Download Win Apps. WAV to MP3 Converter. Offers a quick and effective way to convert MIDI music to WAV, MP3, WMA, or OGG audio formats. By using SoundFonts it greatly reduces time needed for each MIDI to WAV conversion and also allows creating high quality music.